*Requires FULL version of Kontakt 5.8 or above - see full details below. All sounds in this track (except drums) were created using the SSS-Polysynth. 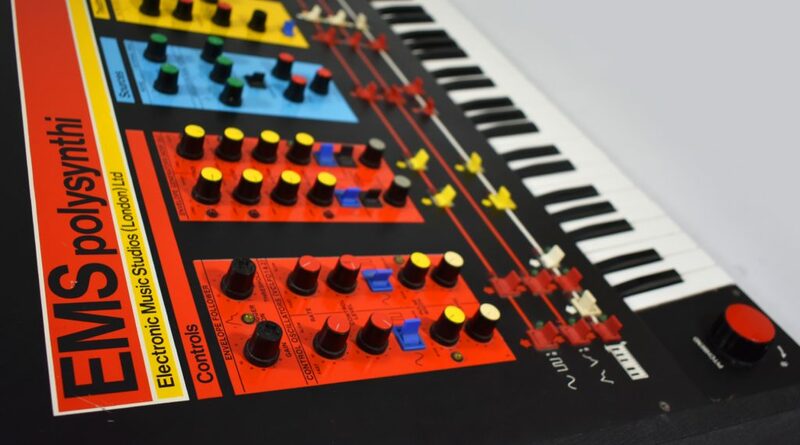 The Polysynthi featured 2 x Voltage Controlled LFO’s (VCLFO) with sine and variable pulse waveforms which could modulate each other or be frequency modulated by either of the 2 ADSR’s. The LFO’s could also trigger the ADRS’s allowing performers to control parameters such as the filter or the analog delay line. The Polysynthi’s voltage controlled analog delay had a switch for short echoes (which could produce chorus, flanging and reverb effects) and long echoes of upto 1 second. The Polysynthi’s sound sources were two VCO’s producing triangle, square and pulse waveforms and there was also a noise generator. These sound sources could be mixed independently via the Polysynthi’s VCBO mixer section. 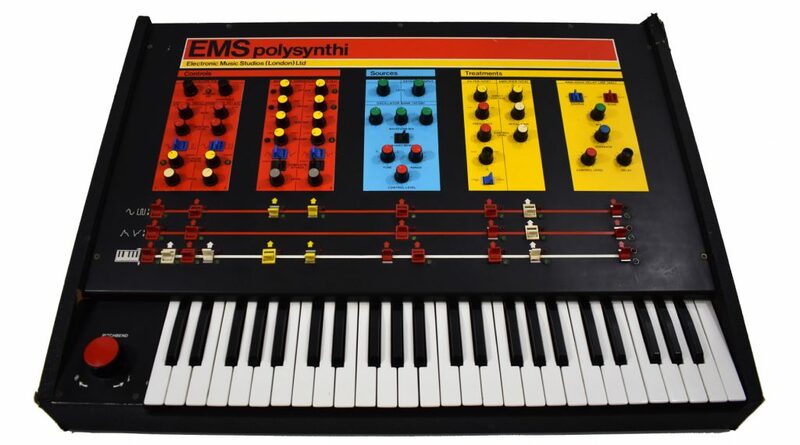 There are a total of 213 multi-sampled “patches.” Each patch has been created by carefully sampling the EMS Polysynthi at various pitches across several octaves. The Loop Machine contains 186 looped sequences. Each sequence has been stretched across the keyboard from C1 to G8 and has been ‘Beat Machined’ to allow all sequences to be played in sync with the tempo of your host DAW. SFX are a collection of 184 one-hit and looped sound effects and ambiences perfect for creating soundscapes and special effects. The samples are spread across the keyboard. There are 2 ‘banks’ of SFX that can be selected via the instrument’s preset menu. 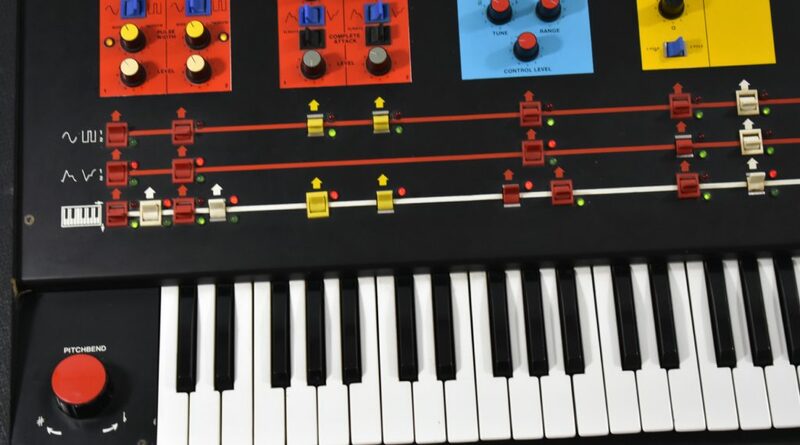 This playlist includes several example patches from some of the 150 Instrument Presets that are included with the 'SSS-Polysynth.' The Presets are divided into the following sub-categories: Pads / Bass / Keys / Ambient Pads. 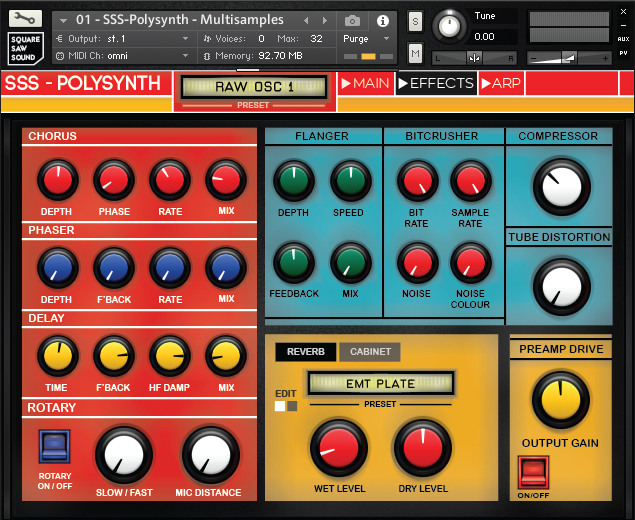 The playlist also includes examples of the SSS-Polysynth's 'SFX' and 'Loop Machine' sample libraries. 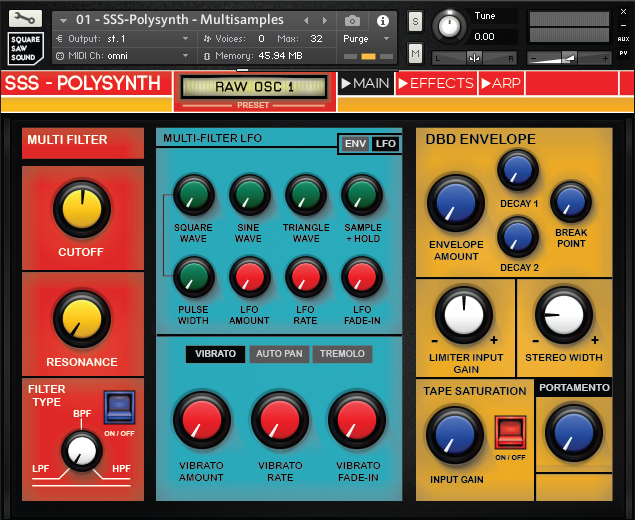 These examples all include effects processing such as Reverb, Delay, Chorus, Saturation etc from the SSS-Polysynth's built-in Kontakt effects. 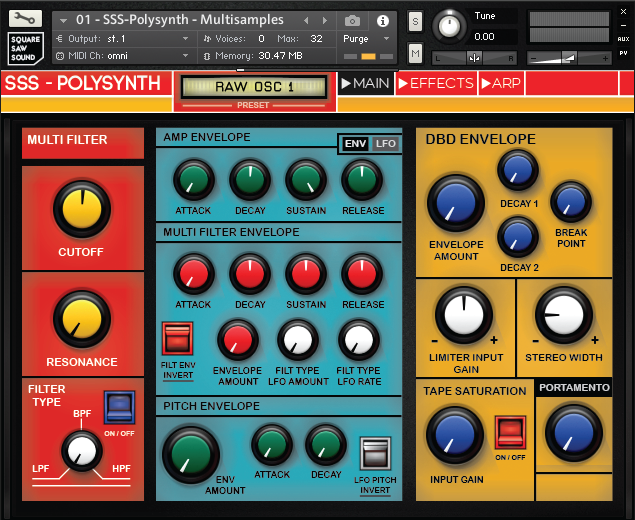 The instruments utilise Kontakt's effects to offer a wide range of options for sculpting and manipulating the raw sounds. Each instrument has filter, envelope and LFO controls as well as portamento and a white noise generator. There is a collection of modulation effects such as vibrato, tremolo, autopan, chorus, phaser and flanger as well as several distortion and saturation effects. Further ambience and filtering can be added with the speaker cabinet, delay and convolution reverb, which contains impulse responses of real plates, springs, halls and special fx. 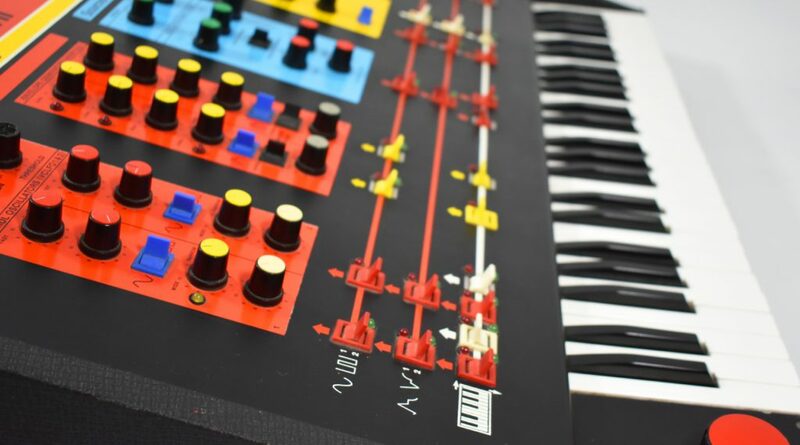 Last but not least, there is a built in arpeggiator with a 32 step velocity sequencer. 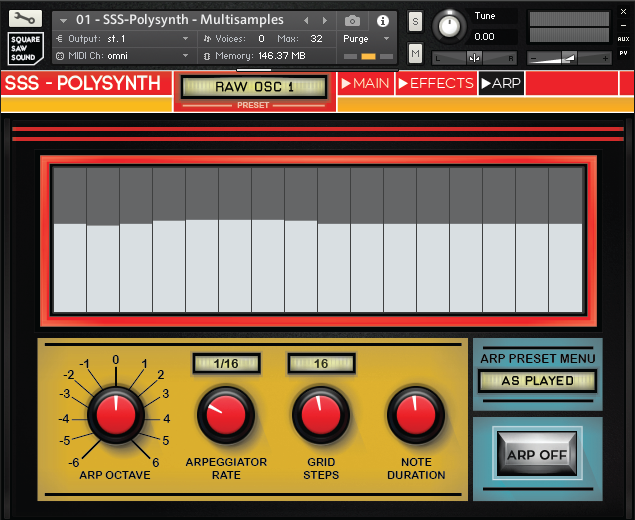 ‘SSS-Polysynth’ will load into the free version of Kontakt Player but it will time out after 10 minutes, so please do not purchase this product unless you are using the full paid for version of Kontakt 5 ! !